Orange County Plumbing Heating & Air Conditioning was established in 1958 and has proved to be the leading plumbing and HVAC contractor in Orange County ever since. We take pride in being a trustworthy provider of plumbing, HVAC and planning services throughout the city of Westminster. Our plumbing works are incomparable to any other in the country. Visit our website and check them out for yourself. Our staff is trained, licensed and fully insured to deliver highest quality service to every one of our customers, whether you want to install a new bathroom fixture or would like a new air conditioning system. We value and treat each customer in the appropriate manner, treasuring your time and your property. We are available for 24/7 emergency calls to troubleshoot any plumbing, heating or AC problem you might face at your home or business facility. In case if anything goes wrong with your plumbing or HVAC system, do not hesitate to contact South Orange County Plumbing Heating & Air Conditioning in Westminster. 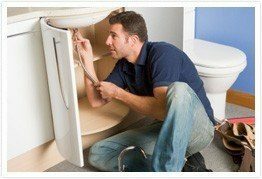 Expert and professional advice or service will be provided by our knowledgeable and competent staff upon your call, so you can be sure that you’ll never be without heat or fresh water for too long if you choose us as your plumbing and HVAC contractor. Receive $20 off any service in the city of Westminster!